The hanging beads were installed between the kitchen and living room in order to infuse a little Greg Brady grooviness to the college apartment. That the beads also served to block the view of the growing pile of dirty dishes in the severely unkept kitchen from the vantage point of the living room was merely a bonus. Johnny Bravo could not have his mind obscured by clouds like kitchen duty or studying or really anything else at the moment. He was tapped out, adrift in a stratosphere of serious contemplation—deliberating what CD to play next—while lounging in the warmth of an illumination brought on by a methodical flow of neon orange lava oozing inside a lamp. At last, he blinked, which seemed to break a trance that he may very well have been stuck in for years. His eyes actually moved—a good sign—scanning the carpet in front of the stereo, reviewing evidence of recent play: The Beatles, Dylan, The Doors, Neil Young, Roxy Music, more Neil Young. As if there wasn’t enough already going on in Johnny Bravo’s Center for Critical Thinking, it turns out that choosing the next CD was not the only important task on the docket. A concurrent decision was required on another front, with the outcome dictating proper alignment of a RadioShack TV input adapter whose correct setting depended on whether Johnny would choose to spend the next hour playing Konami’s Blades of Steel on Nintendo or Universal’s Lady Bug on ColecoVision. The buzzkill of coming down: Mulling over the mysteries of Syd in exile, Johnny was left to contemplate the hows and whys of what could have been, and wonder how one explorer could find himself so far gone, so many miles removed from the expedition. Contemplating the causalities of rock and roll is a difficult gig. Blood-stained glasses collected from a sidewalk in front of The Dakota on an incomprehensible December night still remind us that questions without answers are just part of the deal. Syd Barrett did not lack uniqueness. It should not be surprising then that, as far as casualties go, he managed to separate himself from the crowd here too in that he was a casualty who was still very much alive. When it comes to legend, the penning of history is not always weighted heavily toward accuracy. 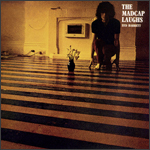 The version that paints Syd into a corner as a recluse, a mad genius not only holed up in a room but also holed up in his own head, may be an example. But the legend remains. As if in a coma that loved ones could only pretend would one day end, Syd was here but gone. Whatever the complete untold story of Syd Barrett may one day reveal, the condensed version will probably always go something like this: wildly-imaginitive-musician-turned-mythical-recluse-turned-painter. Forever the artist, forever his art. Mythology has a knack for monopolizing the last word. And so, overshadowing a rich, playfully intricate, condensed but no less influential musical legacy, a complacent image settles like soot. A sweet soul simply slips away, departing for reasons unknown.